The Sparco Evolve is a top-tier racing simulator cockpit. 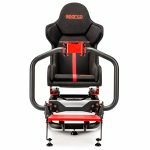 Research conducted by Humanetics® has allowed the development of a sim cockpit that gives virtual drivers a highly immersive driving experience. 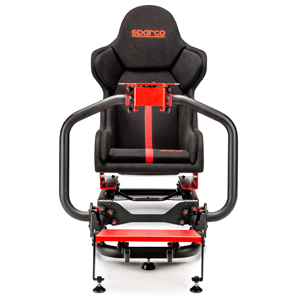 The Sparco Evolve is standard with an ultra-light carbon fiber monocoque seat. The frame is made with high-strength steel for ultimate rigidity. 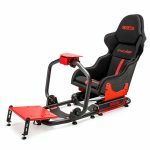 Sim Racers can adjust the Evolve frame in a number of different ways. 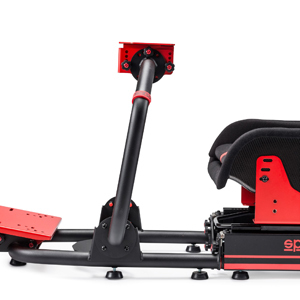 The Evolve has an adjustable carbon fiber seat that slides front to back on automotive grade seat tracks. The seat also has tilt and height adjustability. 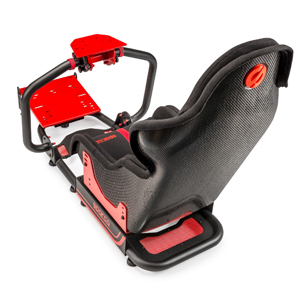 The seat can accommodate riders of different sizes due to the adjustability of the removable padding. 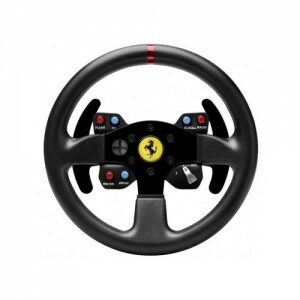 The steering wheel and pedal plates are both adjustable for tilt and angle for the optimum driving position. Evolve is foldable to be compact in storage. It also has front wheels, for easy movement. 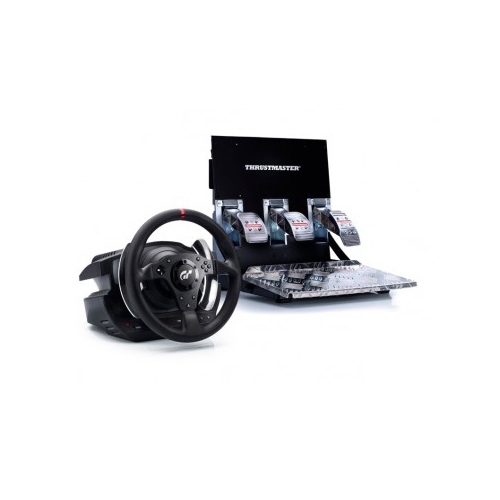 The frame has two hinges which allow the entire simulator to be folded and moved with greater ease.